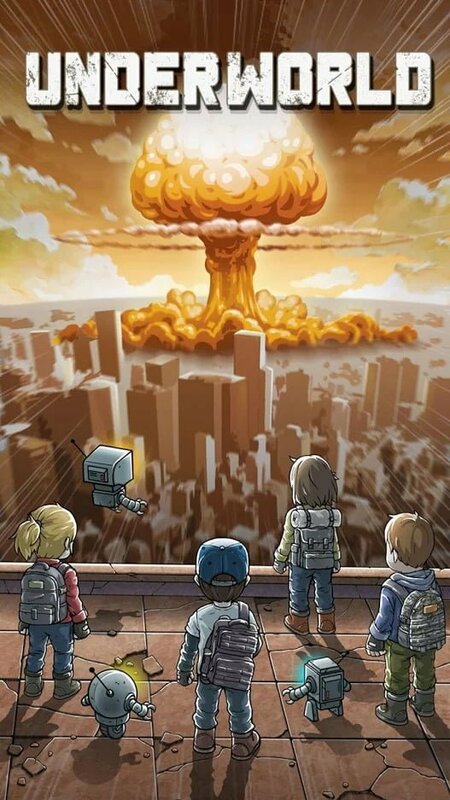 Referring to the post-apocalyptic world theme, we have known the game Fallout Shelter by Bethesda publisher. 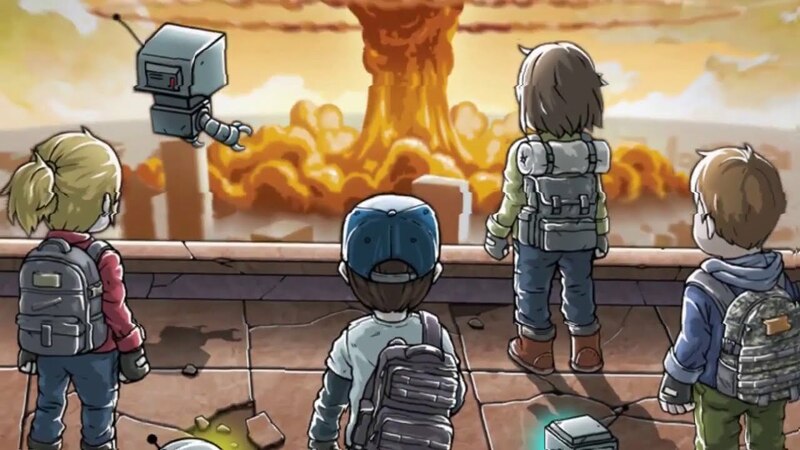 There are not many such games in the mobile game market, the main content of these games is to build a shelter to protect the survivors of the nuclear disaster. Today, I introduce you to a game that is rated that like Fallout Shelter called Underworld: The Shelter (MOD God Mode). Compared to Fallout, this game has many differences and is more accessible. Of course. In a nuclear disaster, the shelter is the safest place for people. There, we can avoid bombs and radioactivity. Initially, your shelter consists of two basements, Living Quarters and Infirmary, which function to heal and create residents. After that, you need to build more rooms and other basements to develop your shelter. Your residents are divided into three categories corresponding to the basement they live and work. 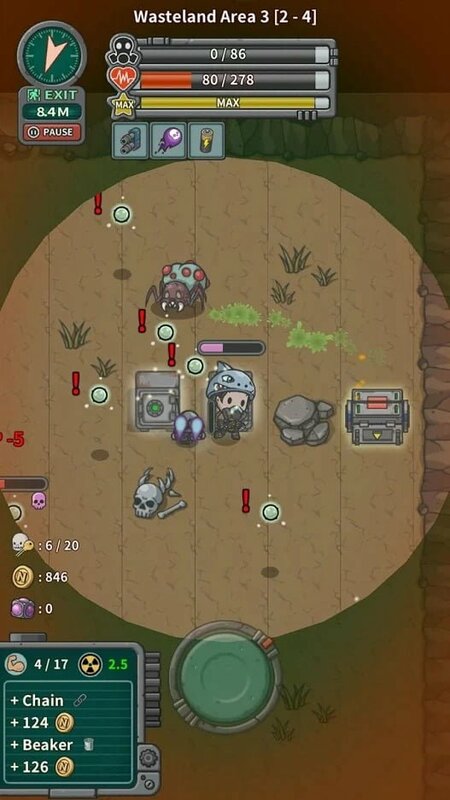 Mining with the task of digging for gold and underground resources, Mushroom Cultivation is responsible for producing food for the entire population, Wanderer is the one who often goes out to explore and collect items, looking for survivors. 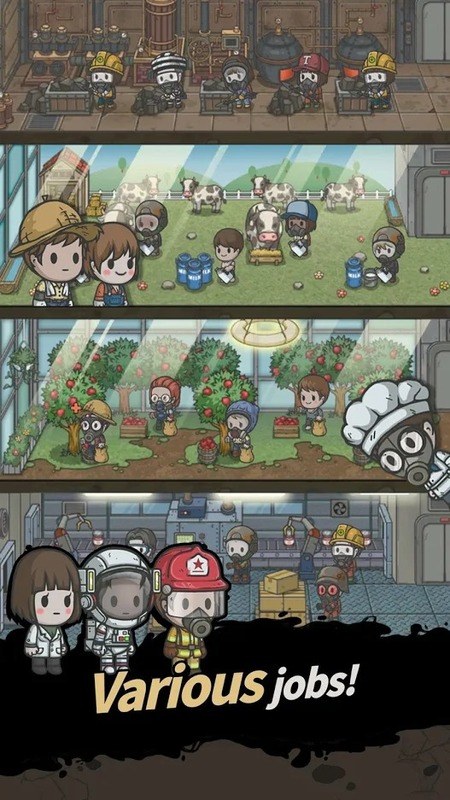 In essence, Underworld: The Shelter has more elements of a role-playing game than a simulation game. Building and maintaining your shelter costs a lot of gold and resources, so you have to go exploring often to get enough gold and resources. Of course, you are equipped with an Android device – the friend you are trusting in the battle with monsters. In order to collect resources, you need to control one of your residents go out, exploring the available locations on the map. Each location consists of two to three rooms. Not only lack of light, but these rooms also contain deadly dangers like some mutated animals and radioactive everywhere. It constantly lowers your health until your HP is zero. Gas masks are a solution in this case, but it only helps you for a period of time entering the radiation area. It is important that you do everything fast and opens the door before your blood runs out. If you die, you have to start from the beginning. One thing I like about Underworld: The Shelter is a simple control mechanism with only a single virtual analog. 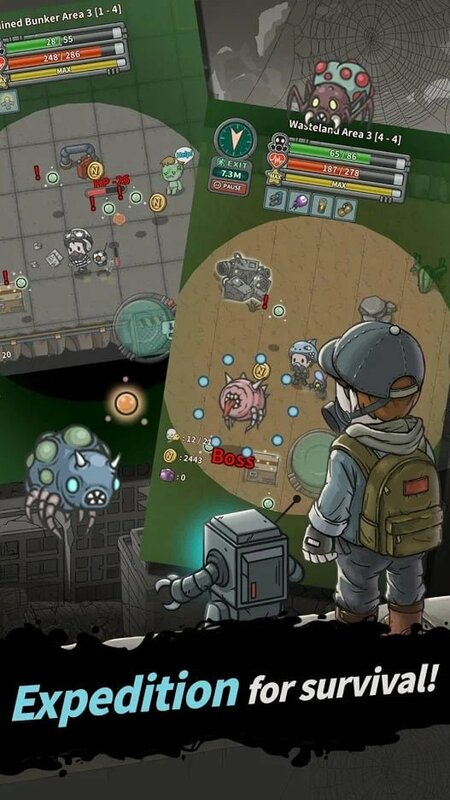 All other actions such as fighting, unlocking or rescuing radioactive people are automatically, your task is to just move appropriately and avoid laser beams or radioactive animals want to bite you. Every time you receive items, rescue a resident or kill a monster, your character will gain experience points to level up. After that, the HP bar and gas mask will immediately fill again and increase a bit. This is also a way to keep you alive when exploring. Underworld: The Shelter is designed based on a simple 2D graphics platform. Although not as beautiful as the current games, but in return, the game runs smoothly on most mobile devices and tablets. However, I think the game should design monsters in explorer areas better. This is really a minus point because monsters are described with a simple circle with the HP bar. The dark color of the end of the world made me feel a little scare. 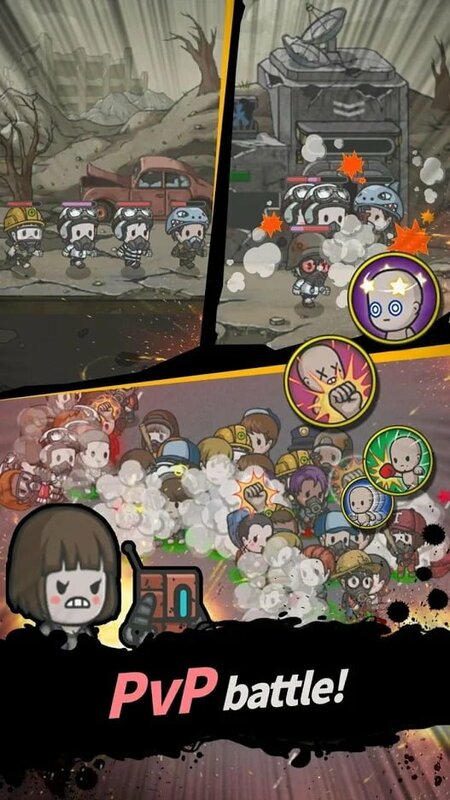 In my opinion, although not invested as thoroughly as Fallout Shelter of Bethesda, Underworld: The Shelter still gives players good experiences with many new and unique features. If you’re tired of Fallout Shelter and want to find a similar game, Underworld: The Shelter is the perfect choice for you. 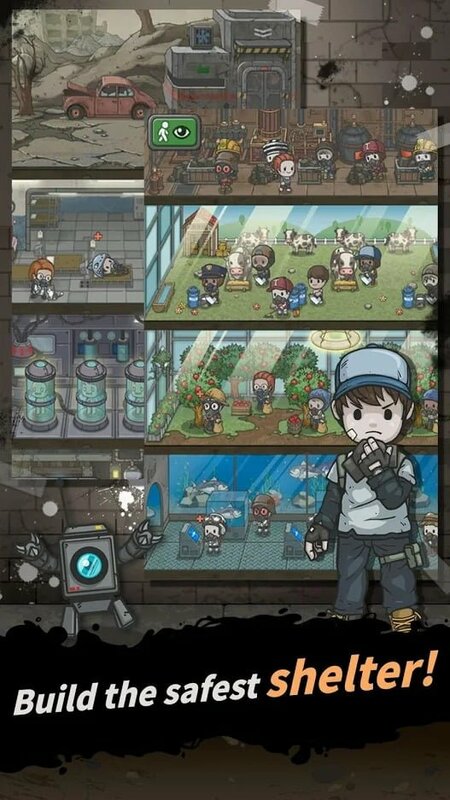 Underworld: The Shelter MOD APK is ready to download!